I made this card with more of the GCD Studios stuff to match THIS one from about a week ago. 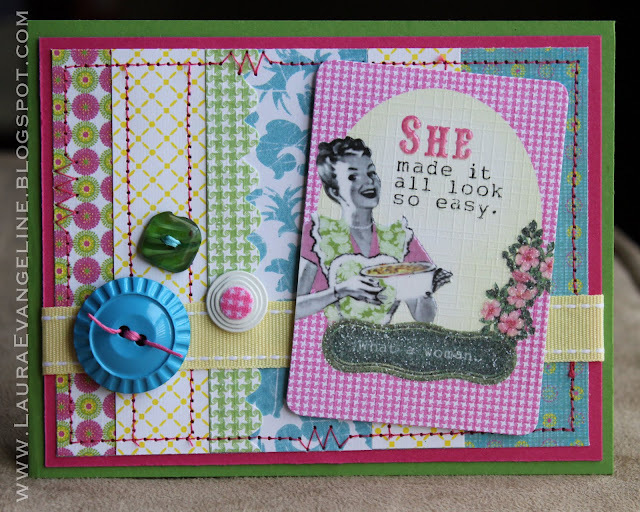 Everything I used to make this card with the exception of the ribbon, cardstock, twine, and green button is from GCD Studios. Love this! and it's so true. Mom's make everything look easier than it really is lol!